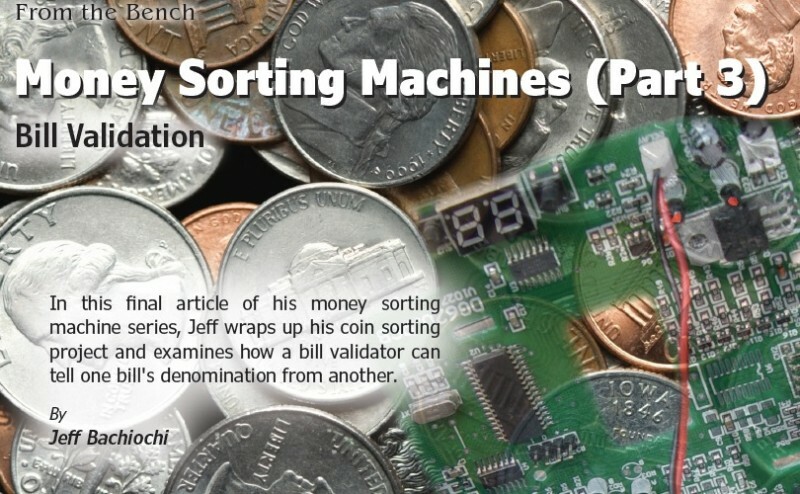 In this final article of his money sorting machine series, Jeff wraps up his coin sorting project and examines how a bill validator can tell one bill’s denomination from another. Most of us connect Ben Franklin with kites and lightning. He was also a printer and might be best known for Poor Richard’s Almanack—a yearly publication that he published from 1732 to 1758 under the pseudonym of Richard Saunders. It was a best-seller and thanks to his wit and wisdom, his portrait was added to the cover of The Old Farmer’s Almanac in 1851—appearing opposite the founder Robert B. Thomas. It remains there today. As a master printer and engraver, in 1730 Franklin began printing all paper money issued by Pennsylvania, New Jersey and Delaware. Paper money was first introduced in the region in 1723, but it remained a hot political issue. That’s because it helped farmers and tradesmen, while merchants and landowners wanted it eliminated or limited in its circulation. Paper money printed from ordinary type was easy to counterfeit, but Ben’s ingenuity solved that problem by printing pictures of leaves on every piece of money. Counterfeiters could not duplicate—or even imitate—the fine lines and irregular patterns. The process by which he made the printing plates was secret, but were probably cast in type metal from molds made by pressing leaves into plaster of Paris. There began the Feds vigilant effort to thwart counterfeiters. Today every aspect of our paper currency is controlled—from its design to its printing, as well as its monitoring and destruction. The paper (which is not paper) and ink (multiple types and formulas) are fabricated for the express use by the Department of Engraving. That department is the Treasury bureau responsible for paper money—as opposed to the U.S Mint, which is the Treasury bureau responsible for coinage. US currency consists of 25% linen and 75% cotton and contains small randomly disbursed red and blue security fibers embedded throughout the material. Depending on the denomination the material is further enhanced by embedding security threads, ribbons and watermarks. Since 1996, printing with colored and color changing inks make the new currency pop. While older black and green currency is rather drab in comparison, it is still legal tender and remains the target of most counterfeiters. The previous two parts of this article series (December 329 and January 330) centered around coinage. Before we look at bill validation for paper money, I need to finish up with that project. I had purchased a few Coin Acceptors and showed how they are used to identify coinage, especially but not limited to US coins. The acceptance and dispensing of money is presently used in many ways today, including vending machines and ATMs. 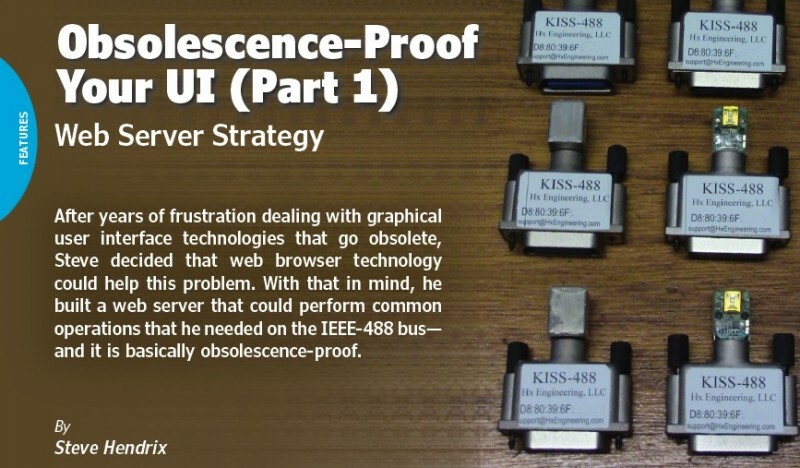 The discussion also included National Automatic Merchandising Association (NAMA), the organization that developed the international specification for the Multi-Drop Bus/ Internal Communication Protocol (MDB/CP) released in July 2010. The MDB/ICP enables communication between a master controller and any of the peripheral hardware like Coin Acceptors and bill validators. By adhering to these guidelines, any manufacturer’s equipment is interchangeable. 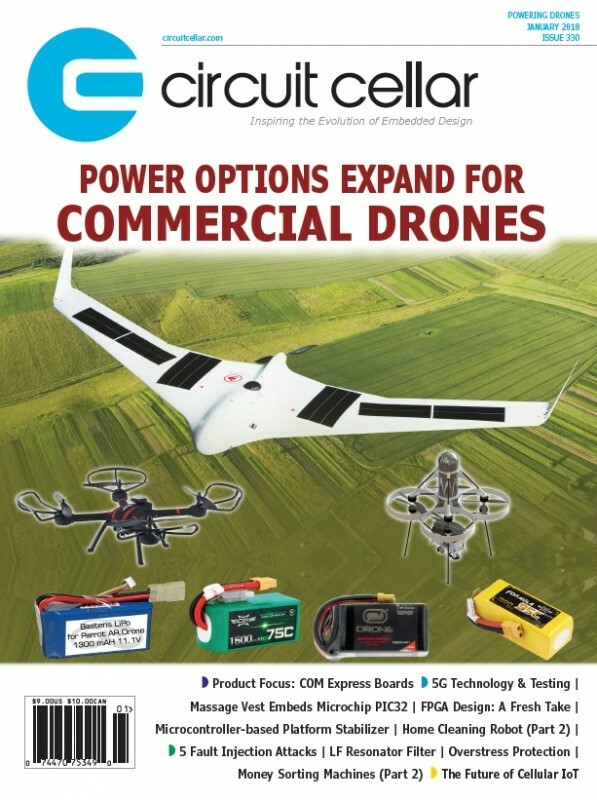 The November issue of Circuit Cellar magazine is coming soon. Want a sneak peak? 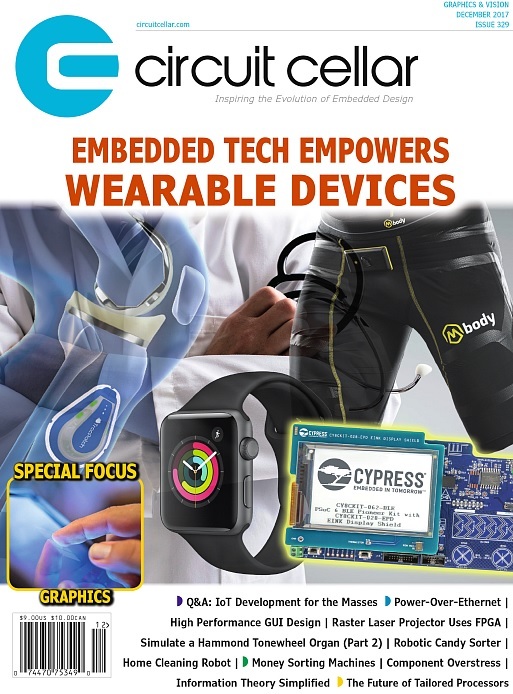 We’ve got a great section of excellent embedded electronics articles for you. The Internet-of-Things (IoT) phenomenon offers huge opportunities. 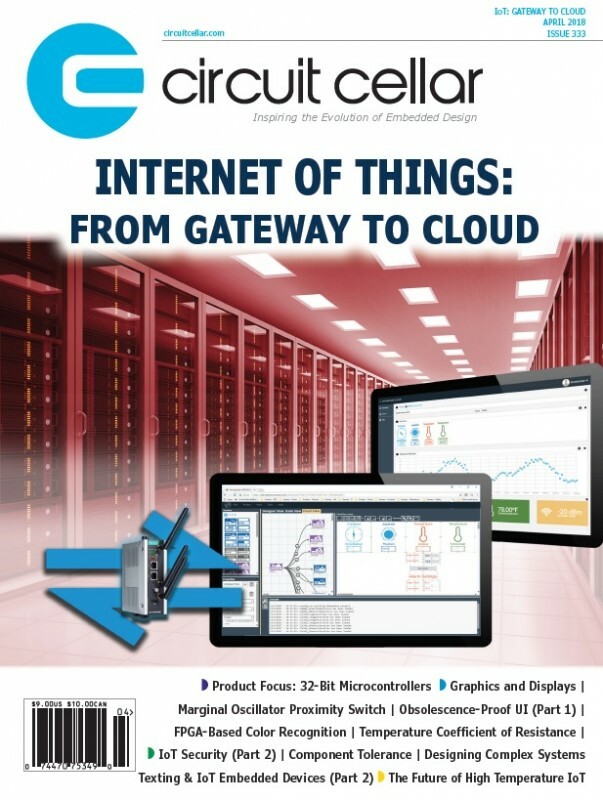 Circuit Cellar Chief Editor Jeff Child explores how IoT gateways play a vital role in those systems by providing bidirectional communication between the devices in the field and the cloud. Colin O’Flynn has done a number of great columns about cryptography—in particular symmetric cryptography. This time he’s tackling an asymmetric algorithm: a RSA implementation. Colin describes what’s unique about an RSA cryptosystem and takes us through a power analysis attack. 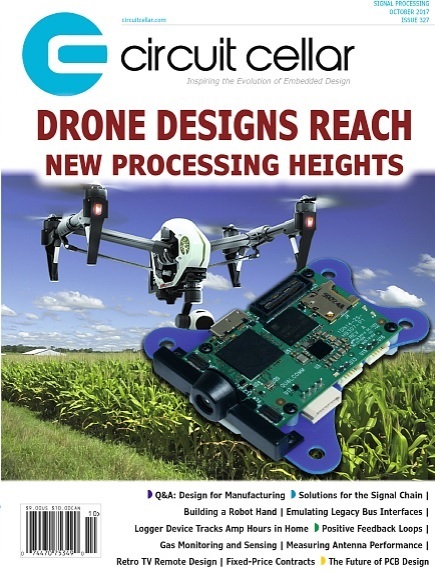 Whether it’s connecting with analog sensors or driving actuators, analog ICs play many critical roles in industrial applications. 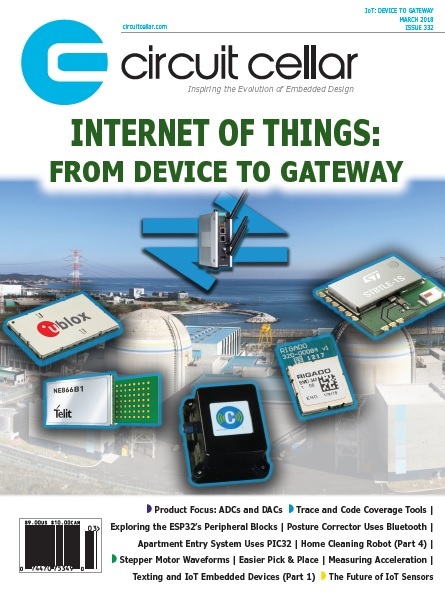 Here, Circuit Cellar Chief Editor Jeff Child examines the latest analog technologies and products serving the needs of today’s industrial systems. In Part 1 Petre Petrov described many interesting ways to use power audio amplifiers (PAAs) as universal building blocks similar to the op amps and comparators. Here, he discusses several more things that can be built from PAAs including wave generators and transformer drivers. Columnist Jeff Bachiochi continues his exploration of gas monitoring and sensing. This time he discusses some of the inexpensive sensors available that can be applied to this application. Jeff then tackles the factors to consider when calibrating these sensors and how to use them effectively. n this follow on to Part 1 of his story, William Wachsmann describes putting to use the amp-hour logger he built using a microcontroller and a clamp-on ammeter. This time he discusses modifying the amp-hour software so it can be used as an analog input logger to measure solar and wind power. Complementing his discussion last month on positive feedback, columnist George Novacek now takes a look at negative feedback. 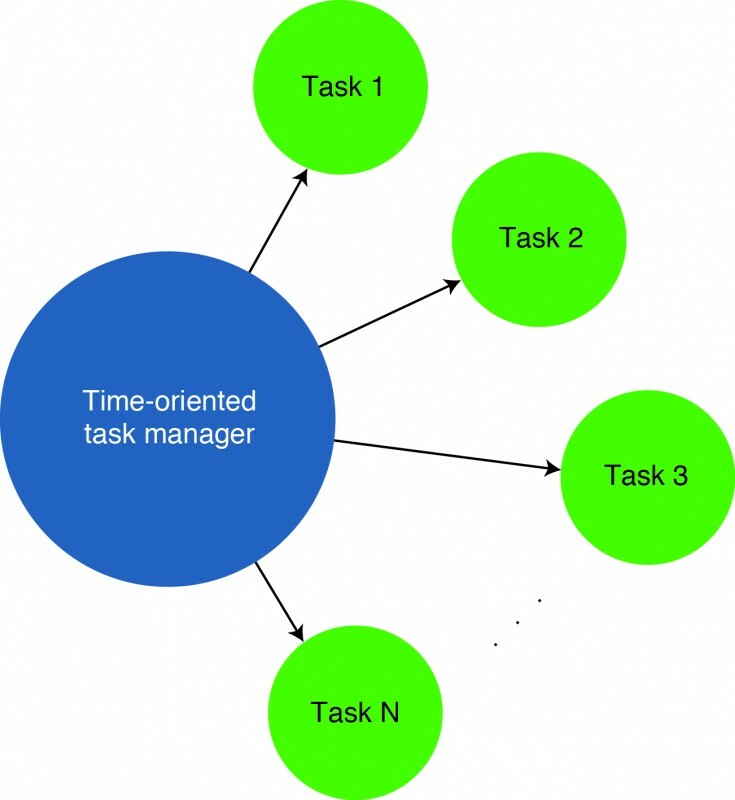 Just like positive feedback, negative feedback can significantly change or modify a circuit’s performance. Ed Nisley returns to the rich topic of low-frequency quartz resonators. This time he describes a tester built with an ordinary Arduino Nano and an assortment of inexpensive RF modules. Hammond tonewheel organs were based upon additive sine-wave synthesis. Because of that, it’s possible to simulate the organ using a microcontroller program that feeds its output waveform to a DAC. Brian Millier takes on this project, making use of an ARM-based Teensy module to do the heavy lifting. Typical electronics lab benches become littered with resistors from past projects. These three Cornell University graduates tackled this problem by building a resistor sorting system. It enables users to input multiple resistors, measure their resistance and sort them. The project integrates motor controllers, resistance measurement and a graphical user interface. 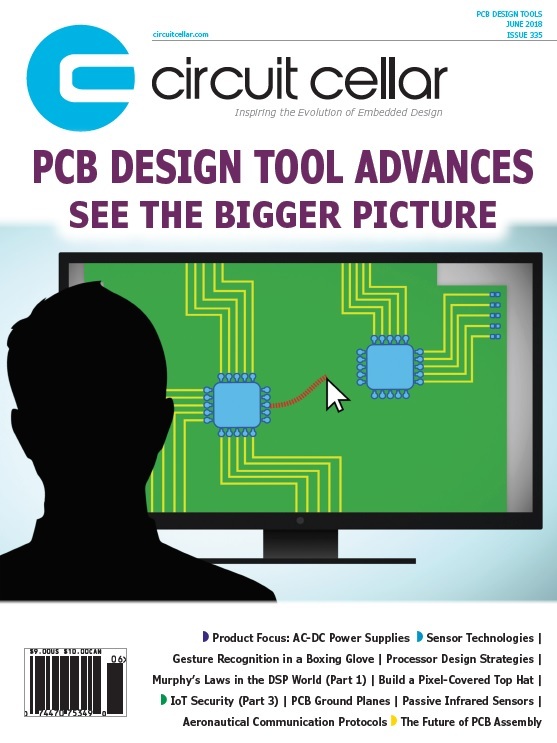 Microchip Technology has expanded its custom programming service to include AVR and SAM microcontrollers (MCUs). Users can add their custom code to MCUs from more than 30 AVR and SAM families, along with nearly all PIC MCUs and memory devices, directly from the manufacturer via microchipDIRECT. Microchip provides an online custom programming service to all of its clients. Microchip’s custom programming service is available to any client regardless of their order size and can be used throughout the development process. From very small runs to verify that the code is working, all the way up through full-scale production runs, this cost-effective programming service offers customers the flexibility to add their code to any order size, from one device to millions. Additionally, each first verification order is complimentary and includes three free samples programmed to each client’s exact specifications. To get started, clients choose their part number on microchipDIRECT and then add their code and other configuration settings, shown on the intuitive online form, directly into the encrypted website. 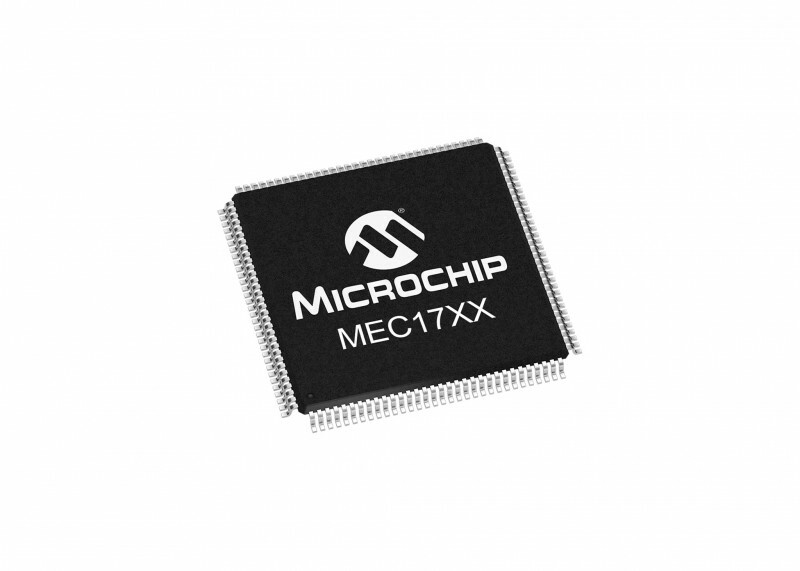 The MCUs will then be programmed directly by Microchip with no need to involve a third party programming or manufacturing facility, thus eliminating the risk of code exposure during the programming process. In addition to custom programming services, microchipDIRECT also offers value-added services such as tape and reeling, labels, ink dotting and more. With the largest inventory of Microchip products in the industry, microchipDIRECT provides a full service channel for all purchasing needs. The mobile-optimized website also offers global support in ten languages, volume pricing, live service agents, numerous payment options and order notifications for customer convenience. For more information visit www.microchipdirect.com. 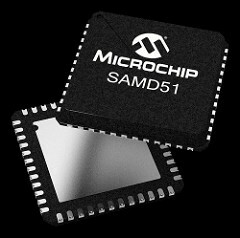 Microchip Technology has made available its new SAM D5x and SAM E5x microcontroller (MCU) families. These new 32-bit MCU families offer extensive connectivity interfaces, high performance and robust hardware-based security for a wide variety of applications. 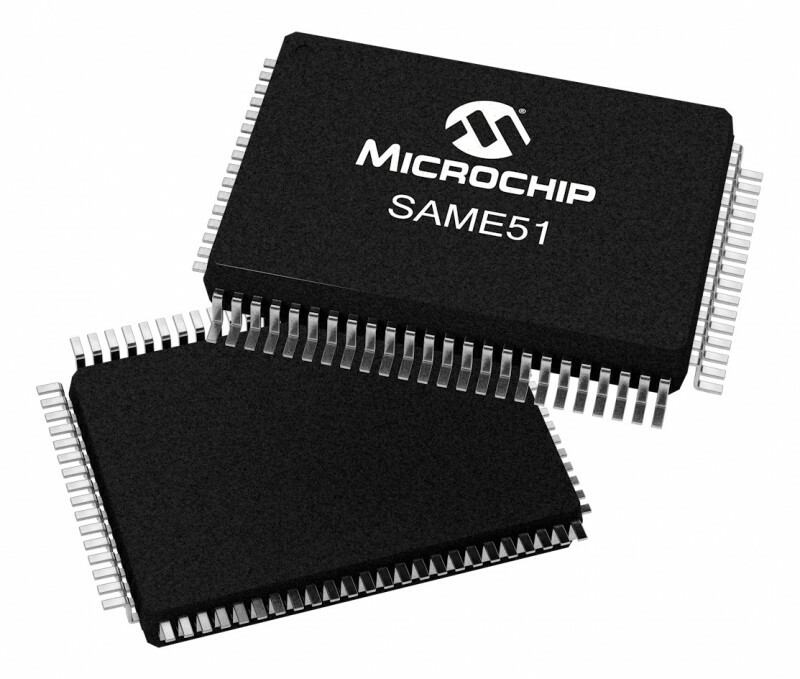 The SAM D5/E5 MCUs combine the performance of an ARM Cortex-M4 processor with a Floating Point Unit (FPU). This combination offloads the Central Processing Unit (CPU), increasing system efficiency and enabling process-intensive applications on a low-power platform. Running at up to 120 MHz, the D5x and E5x MCUs feature up to 1 MB of dual-panel Flash with Error Correction Code (ECC), easily enabling live updates with no interruption to the running system. Additionally, these families are available with up to 256 KB of SRAM with ECC, vital to mission-critical applications such as medical devices or server systems. These new MCUs have multiple interfaces that provide design flexibility for even the most demanding connectivity needs. Both families include a Quad Serial Peripheral Interface (QSPI) with an Execute in Place (XIP) feature. This allows the system to use high-performance serial Flash memories, which are both small and inexpensive compared to traditional pin parallel Flash, for external memory needs. The SAM D5/E5 devices also feature a Secure Digital Host Controller (SDHC) for data logging, a Peripheral Touch Controller (PTC) for capacitive touch capabilities and best-in-class active power performance (65 microA/MHz) for applications requiring power efficiency. 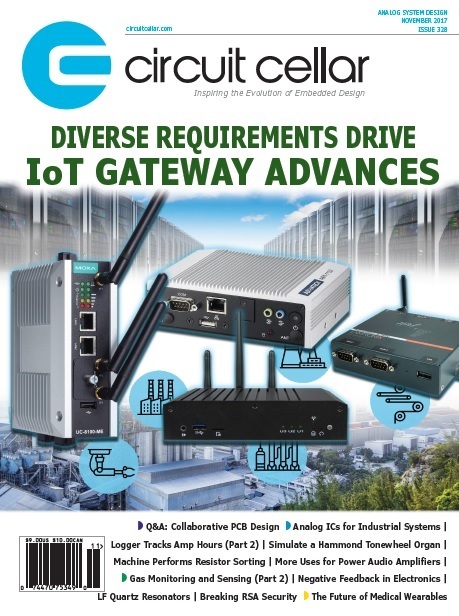 Additionally, the SAM E5 family includes two CAN-FD ports and a 10/100 Mbps Ethernet Media Access Controller (MAC) with IEEE 1588 support, making it well-suited for industrial automation, connected home and other Internet of Things (IoT) applications. The SAM E54 Xplained Pro Evaluation Kit is available to kick-start development. The kit incorporates an on-board debugger, as well as additional peripherals, to further ease the design process. All SAM D5x/E5x MCUs are supported by the Atmel Studio 7 Integrated Development Environment (IDE) as well as Atmel START, a free online tool to configure peripherals and software that accelerates development. SAM D5x and SAM E5x devices are available today in a variety of pin counts and package options in volume production quantities. Devices in the SAM D5/E5 series are available starting at $2.43 each in 10,000 unit quantities. The SAM E54 Xplained Pro Evaluation Kit is available for $84.99 each.